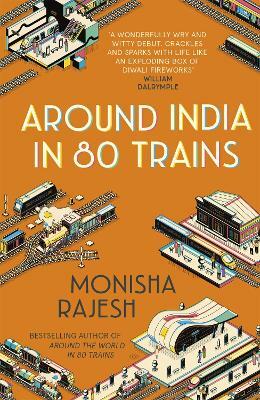 Her journey takes her on toy trains, luxury trains, Mumbai's infamous commuter trains and even a hospital on wheels. Along the way she meets a kaleidoscope of characters and discovers why the railways are considered the lifeline that keeps the country's heart beating. Most of all, she hopes that these 80 train journeys will lift the veil on a country that has become a stranger to her. Monisha Rajesh is a British journalist at The Week UK. After graduating with a postgraduate diploma from City University's journalism school she has worked as an arts and travel writer. In 2006 she was nominated for the PTC New Consumer Monthly Journalist of the Year and has written for The Guardian, The Daily Telegraph, The Times, The New York Times and TIME magazine.